Jerry Alan West (born May 28, 1938) is an American retired basketball player who played his entire professional career for the Los Angeles Lakers of the National Basketball Association (NBA). His nicknames included Mr. Clutch, for his ability to make a big play in a clutch situation, such as his famous buzzer-beating 60-foot shot that tied Game 3 of the 1970 NBA Finals against the New York Knicks; The Logo, in reference to his silhouette being incorporated into the NBA logo; Mr. Outside, in reference to his perimeter play with the Los Angeles Lakers; and Zeke from Cabin Creek, for the creek near his birthplace of Chelyan, West Virginia. West played the small forward position early in his career, and he was a standout at East Bank High School and at West Virginia University, where he led the Mountaineers to the 1959 NCAA championship game. He earned the NCAA Final Four Most Outstanding Player honor despite the loss. He then embarked on a 14-year career with the Los Angeles Lakers, and was the co-captain of the 1960 U.S. Olympic gold medal team, a squad that was inducted as a unit into the Naismith Memorial Basketball Hall of Fame in 2010. West's NBA career was highly successful. Playing the guard position, he was voted 12 times into the All-NBA First and Second Teams, was elected into the NBA All-Star Team 14 times, and was chosen as the All-Star MVP in 1972, the same year that he won the only title of his career. West holds the NBA record for the highest points per game average in a playoff series with 46.3. He was also a member of the first five NBA All-Defensive Teams (one second, followed by four firsts), which were introduced when he was 32 years old. 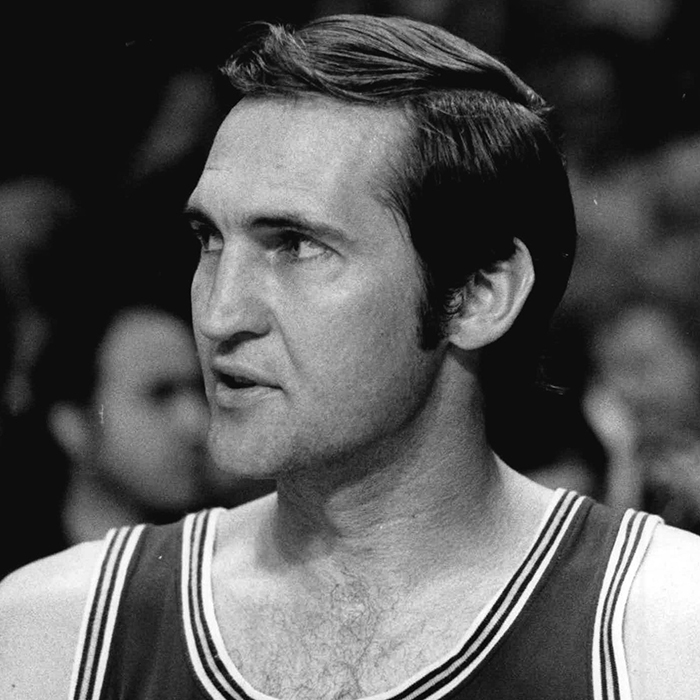 Having played in nine NBA Finals, he is also the only player in NBA history to be named Finals MVP despite being on the losing team (1969). West was inducted into the Naismith Basketball Hall of Fame in 1980 and voted as one of the 50 Greatest Players in NBA history in 1996. After his playing career ended, West took over as head coach of the Lakers for three years. He led Los Angeles into the playoffs each year and earned a Western Conference Finals berth once. Working as a player-scout for three years, West was named general manager of the Lakers prior to the 1982–83 NBA season. Under his reign, Los Angeles won six championship rings. In 2002, West became general manager of the Memphis Grizzlies and helped the franchise win their first-ever playoff berths. For his contributions, West won the NBA Executive of the Year Award twice, once as a Lakers manager (1995) and then as a Grizzlies manager (2004). West's son, Jonnie, played college basketball for West Virginia.